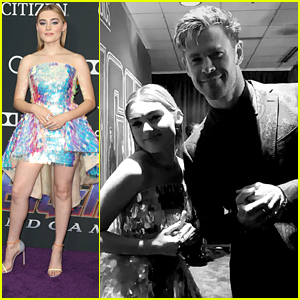 Miley Cyrus Photos, News, and Videos | Just Jared Jr.
Miley Cyrus and Liam Hemsworth couple up for the Avengers: Endgame world premiere! The “The Climb” crooner and the Independence Day: Resurgence star stepped out for the event held at the Los Angeles Convention Center on Monday (April 22) in Los Angeles. Miley dazzled in a black cut-out dress with an assortment of jewelry as well as sparkling pink eyeshadow and lipstick, styling her hair into waves. Liam looked dapper in his black and white suit with black shades. The duo was all smiles while waving to fans and enjoying each other’s company. Don’t miss Avengers: Endgame when it hits theaters on April 26! FYI: Miley and Liam are wearing Saint Laurent. Miley Cyrus had a fun afternoon out and about with her family this weekend! The 26-year-old singer was spotted going casual with her husband Liam Hemsworth at lunch at sushi restaurant Nobu on Sunday (April 7) in Malibu, Calif. The married couple grabbed lunch with Miley‘s parents Billy Ray Cyrus and Tish Cyrus, Liam‘s brother Luke Hemsworth, and more. Miley debuted her new Hannah Montana inspired haircut a couple of weeks ago and sent fans into a meltdown over the possibility of her reviving the character. FYI: Miley is wearing a Chanel outfit. Miley Cyrus Has 'High School Musical' Jam Session! Miley Cyrus had another throwback moment on her way to Disneyland! 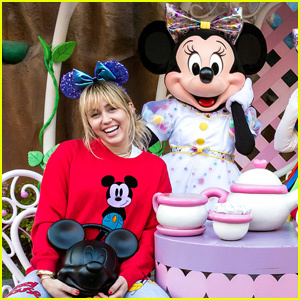 The 26-year-old singer headed to the theme park to pose for photos with Minnie Mouse, Daisy Duck and Pluto on Tuesday afternoon (April 2) in Anaheim, Calif.
On the way to the Disneyland, Miley sang along to some of her favorite Disney hits, including the High School Musical soundtrack! We still can’t get over Miley Cyrus‘ Hannah Montana hair! 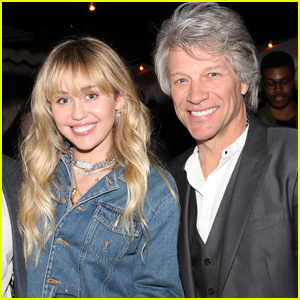 The 26-year-old superstar stepped out for Jon Bon Jovi‘s Hampton Water launch party on Thursday night (March 28) at Harriet’s Rooftop in West Hollywood, Calif.
Other attendees included Dakota Fanning and Nicole Scherzinger. FYI: Miley is wearing Yves Saint Laurent. This has been a big week for Hannah Montana and Miley Cyrus just made a big change to her appearance to make herself look just like her former character! 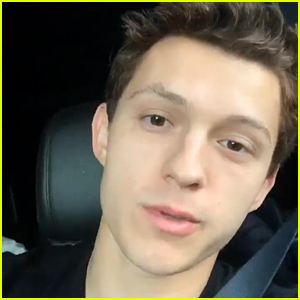 Fans are going wild after the 26-year-old entertainer got a new haircut to match the iconic hairdo of Hannah Montana. She posted another photo on her Instagram Stories that confirmed the new look was not a wig. “ALL ME!” she wrote, crediting hair stylist Sally Hershberger and colorist Justin Anderson. Earlier in the week, Miley followed a new @HannahMontana page on Instagram, leading fans to think that the hit Disney Channel series was going to get a reboot. DO YOU THINK that Miley Cyrus should do a reboot of Hannah Montana? Miley Cyrus is celebrating the anniversary of Hannah Montana! The 26-year-old superstar just revealed that it’s been 13 years since the first episode of the series hit the air. Miley took to social media to share photos from her time on the show, including a picture of her getting ready to board her flight to LA for the taping of the first episode. “It’s the 13th anniversary of the first HM episode to air,” Miley wrote on her Twitter. On her Instagram story, she shared some snaps from the program, along with hilarious captions about how her younger self would react to her career.